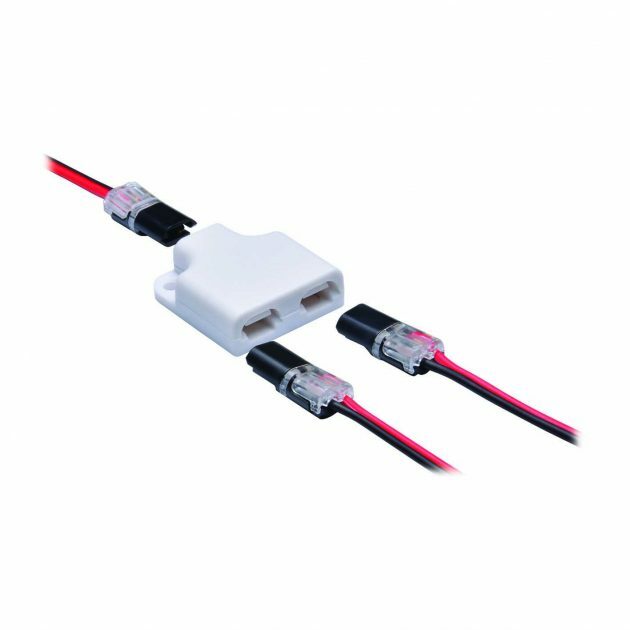 The Intelli distribution box connectors are for use with the Intelli cable and tape connectors to allow you to connect multiple LED tapes to the same LED driver. Suitable for use with 8mm, 10mm & 12mm PCBs, single coloured LED tape. *Intelli Cable and Tape Connectors sold Separately.